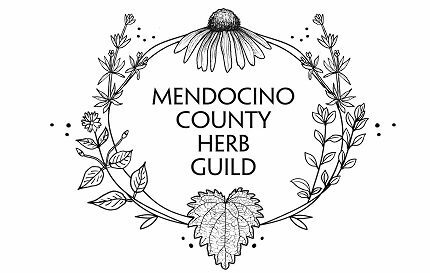 Distraught about those effected by the Mendocino Complex and surrounding fires, the coast branch of the Mendocino County Herb Guild held a medicine making party on August 8th at the Caspar Community center. 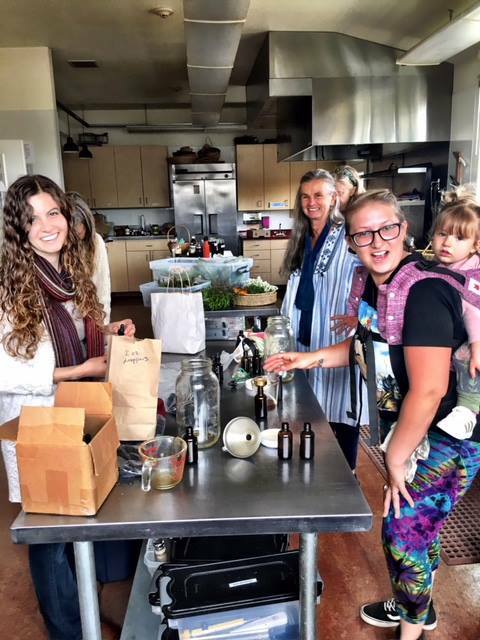 Guild members donated various tinctures of individual herbs that addressed respiratory or nervous-stress concerns. We ended up with quite an array of wonderful medicine which was formulated into two tincture batches: “Lung Tonic” and “Tension Tamer”. They are each very unique formulas made with lots of love! Lung Tonic was made with Yerba Santa, Splilanthes (made with turmeric and black pepper), Usnea, Grindelia, Self Heal, Astragulus, Rosemary, Thyme, Spikenard, Yarrow and Elecampane. Tension Tamer was made with Passionflower, Lemon Balm, Chamomile, Skullcap, Tulsi Basil, St. John’s Wort, California Poppy, Rose, Blue Vervain, Wood Betony, Wild Oat and Reishi. 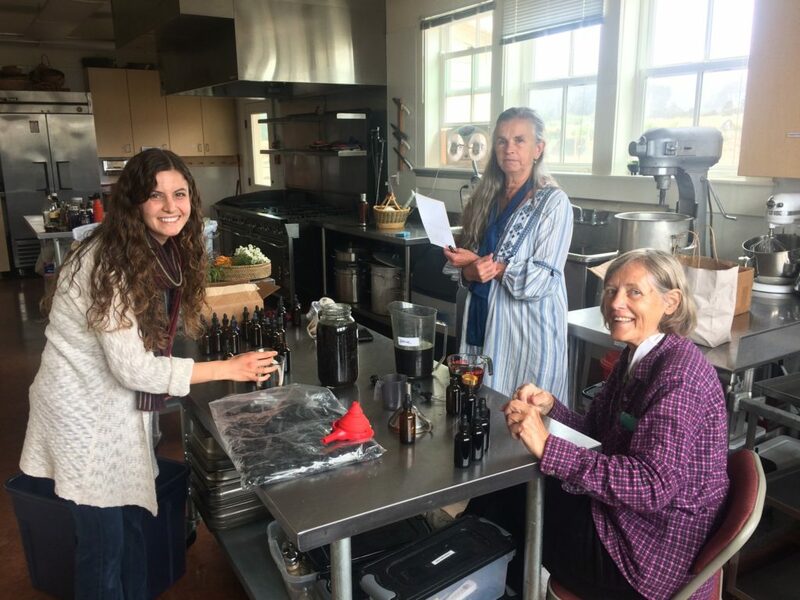 Ten members of the guild plus two incredibly patient children and one guest, participated in mixing, bottling and labeling the ninety bottles that were produced for distribution to those in need – this is what a few of us can do in two hours! (watch out world). Bottles and labels and time were donated by participants, along with use of the kitchen and table space thanks to Caspar Community Center. Some members brought fresh herbs that we all took home to tincture or put up in oils for a future salve-making party. Medicines were then taken by Mary Pat Palmer to Anderson Valley Fire District and Karin Uphoff to Happy Herb Shop in Ukiah and MCHG Inland Chapter for distribution to community members in need. It would be best if those actually handing out the medicine, explain how adults might use these tinctures (i.e. 40 drops or 1/2 teaspoon in water or directly in the mouth 2-4x/day). We ran out of 2oz droppers for our 2oz bottles and look forward to having more supplies on hand for future endeavors. Also thanks to all the label writers who felt that ultimately a small portable printer would be a good investment! 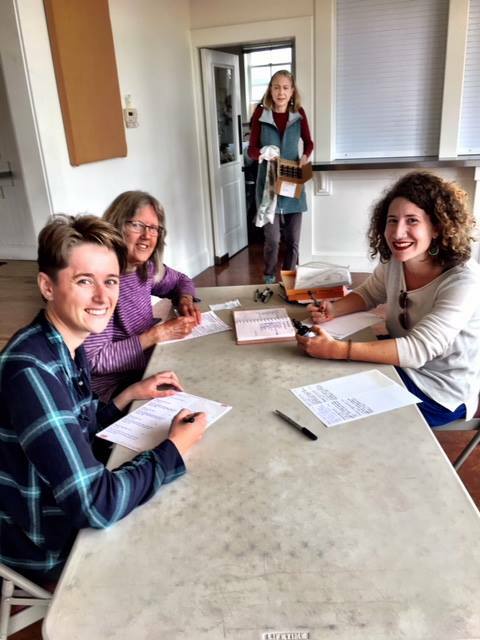 In gratitude to Karin Uphoff for this recap, and Mary Pat Palmer for the photos.